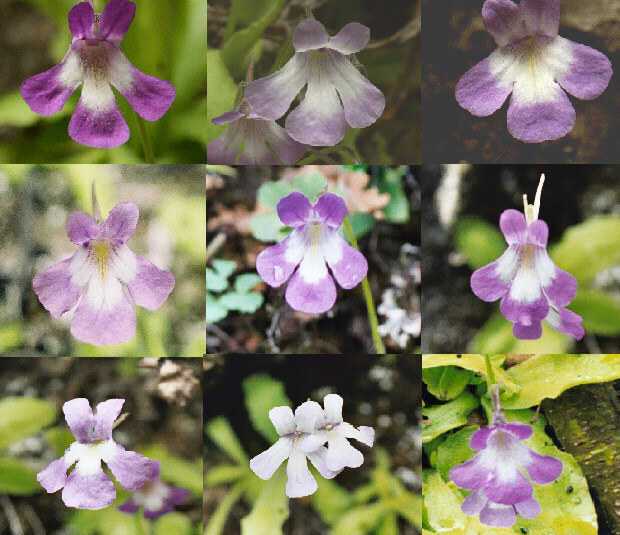 Color and shape variations in flowers of a SAME population of Pinguicula longifolia subsp. 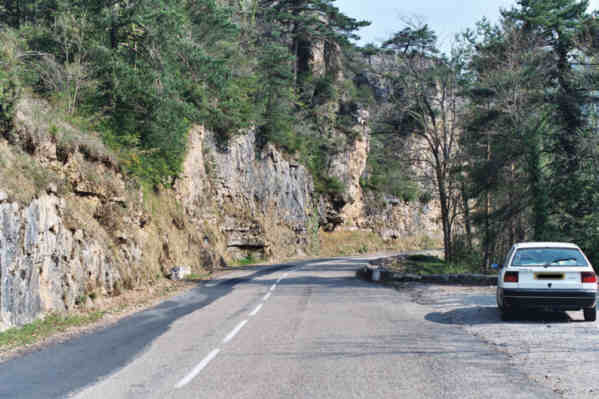 caussensis near Le Rozier, in Gorge du Tarn Area in France. The site in the Gorge du Tarn area, where all pictures of flowers were taken. 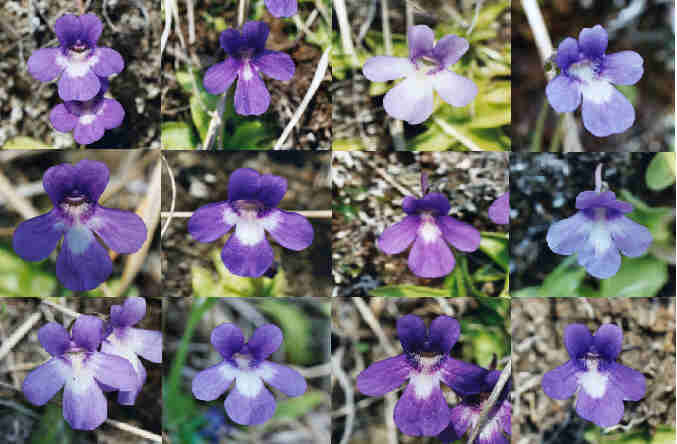 Color and shape variations in flowers of a SAME population of Pinguicula longifolia subsp. 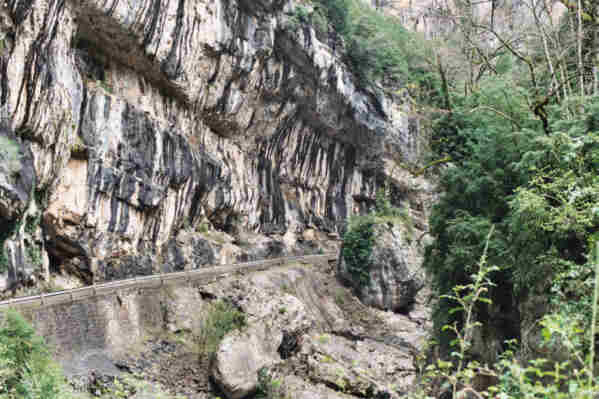 longifolia in Anisclo Canyon. If you have some doubts that the flowers could be so variable, here is a cluster where you can note all kind of flowers of Pinguicula longifolia subsp. 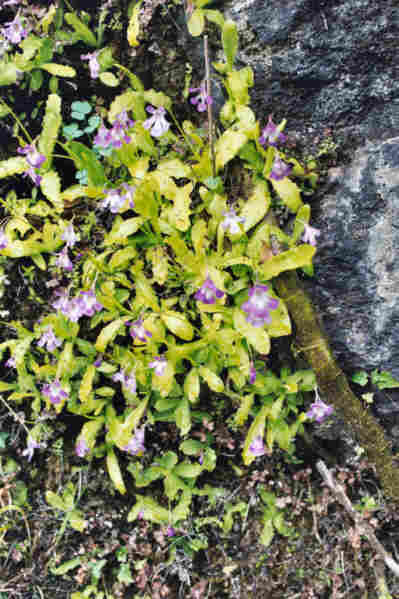 longifolia. 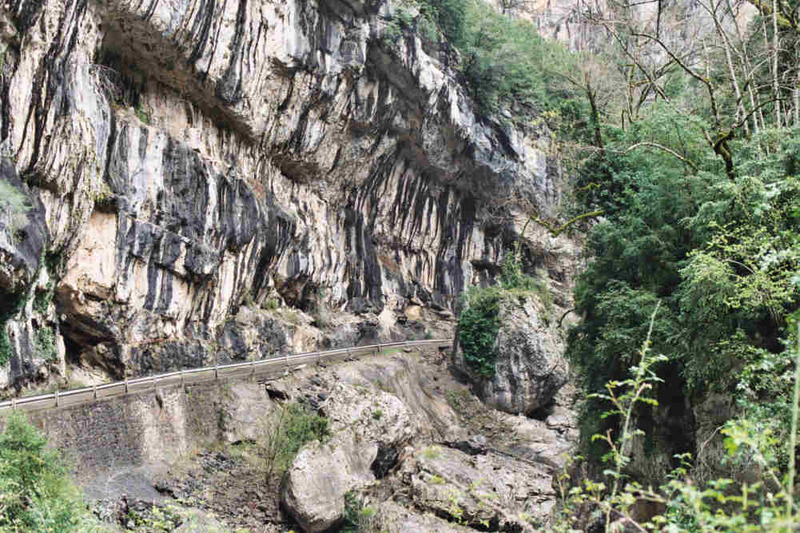 The site in the Canyon of Ansiclo, where all pictures of flowers were taken.